A new state-of-the-art centre, which offers the very latest in imaging technology, is playing a leading role in eye health in Bradford. 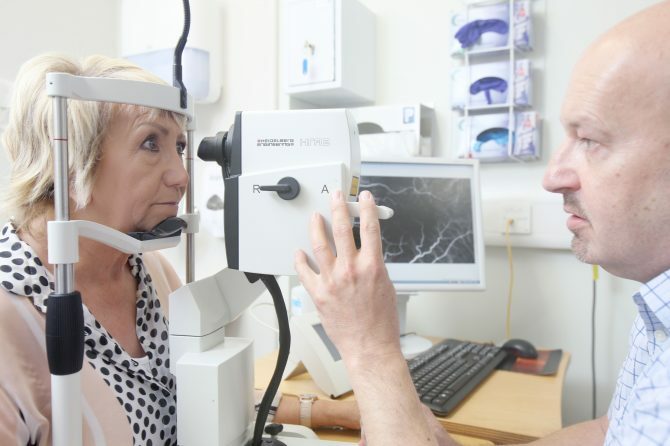 The Bradford Macula Centre, part of Bradford Teaching Hospitals NHS Foundation Trust, is based on Trinity Road, Bradford, near to St. Luke’s Hospital, and features the most sophisticated scanning equipment capable of detecting a number of eye conditions. The new centre means that patients with suspected wet macula degeneration (a condition that causes the loss of central vision, usually in both eyes) will be seen and treated quicker, improving the success of the treatment. 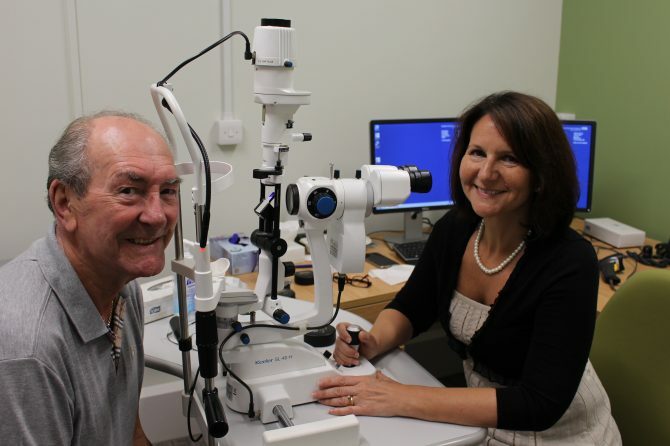 They can be referred directly to the Bradford Macula Centre by their opticians via a fast-track referral system. The Trust’s macula service was previously based in the pain management clinic in the grounds of St Luke’s. The Trust’s ophthalmology department is home to numerous worldwide clinical trials which are taking the lead in eye care research. Staff have liaised with local optometrists about the opening of the new centre. Patient Levi Hall, of Wibsey, Bradford is one of many now enjoying the new and improved facilities. Mr Hall, 78, who has macula degeneration, has been using the Trust’s macula service for the past 10 years and has seen a number of changes during this time. Bayer is a Life Science company with a history stretching back more than 150 years. It is dedicated to working collaboratively with the NHS to develop bespoke solutions to improve retinal services and the provision of care for patients.